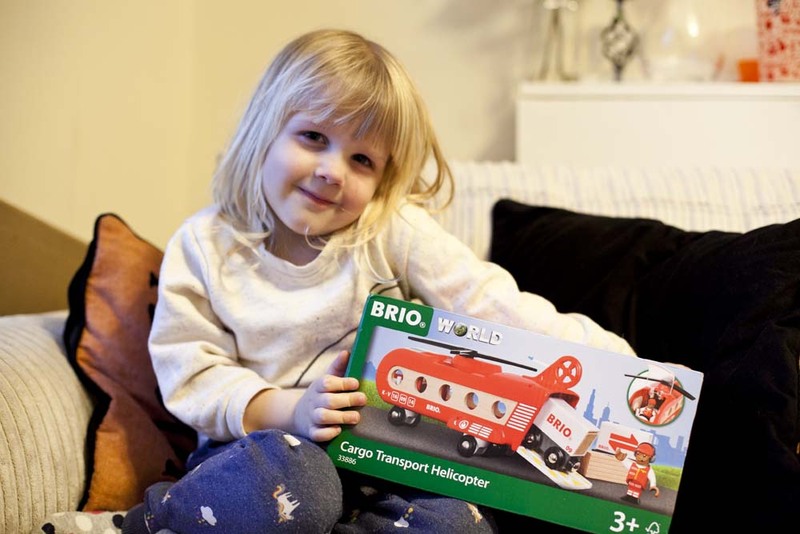 Brio Cargo Transport Helicopter Review. 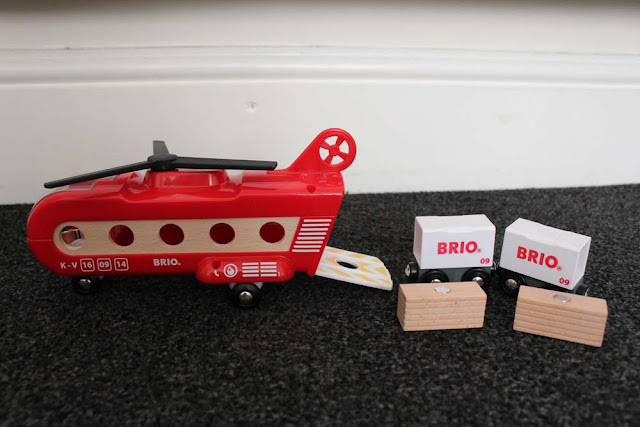 We have always loved Brio World for its amazing wooden quality toys. So when we got asked if we wanted to review the Cargo Transport Helicopter we flew in at the chance to review it! Lily has always been a fan of playing with things that are transport vehicles. She loves trains, cars, planes. But one thing she didn't own was a helicopter. So she was really pleased when she saw on the front of the box that she had been sent a helicopter. Inside the box there is the transport helicopter, a man, and some trains with cargo boxes that go on the top. The helicopter is red, white and wood coloured. 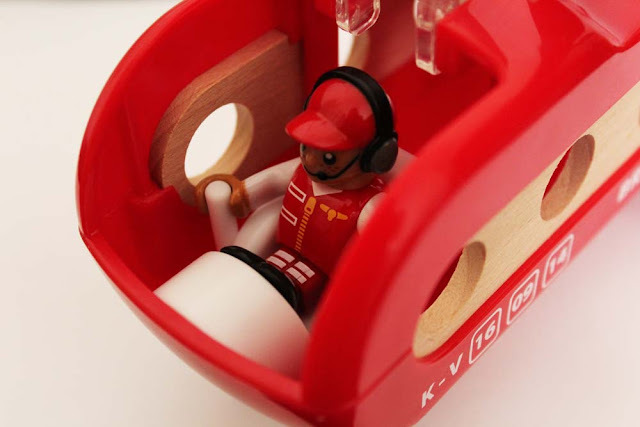 The red and white parts are made out of plastic and the window area of the helicopter is made from wood. I love that there is a wooden element of this. The propellers are made from black plastic and spin around really well and it also has a window at the front which opens up so the little man can sit inside. Inside there is a little seat where he slots in perfectly. The helicopter is also on wheels so as well as making it fly you can also push it along the floor. 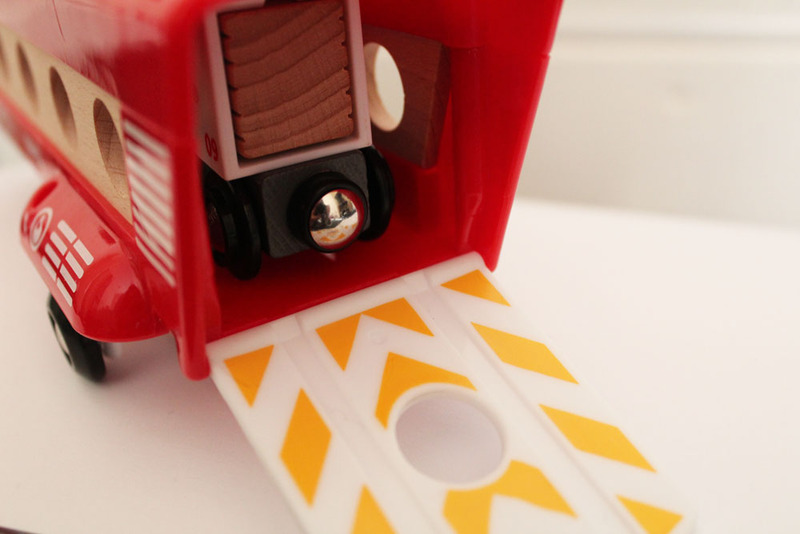 The wheels move really freely so then it pushes easily. At the back there is a little flap that you open up and this is where you place the cargo. Any of the brio trains can be put into it but this set comes with 2 trains with 2 pieces of cargo for each train. As usual the trains connect together by using magnets. The pieces of cargo slot onto the train and if you have more brio train cargo this can also be added to the back of the trains. The cargo is very clever. They are 2 white containers and inside has a wooden block. 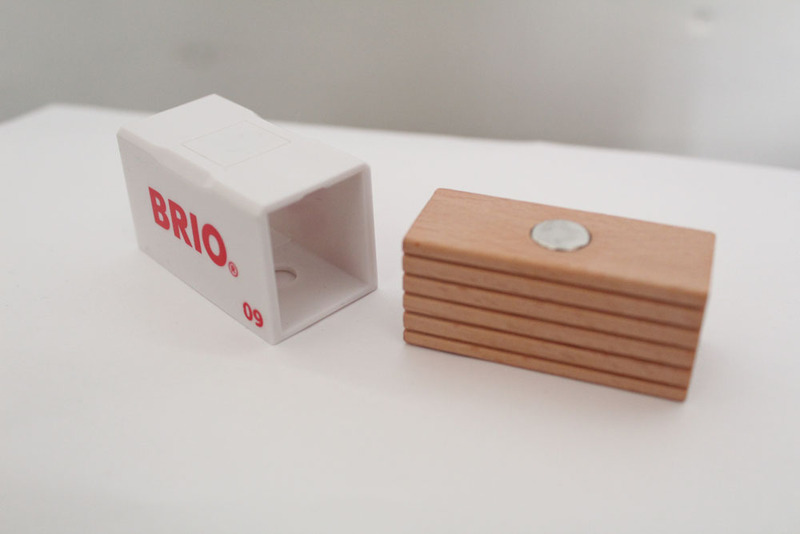 you push the wooden block into the container and it has a magnet inside which them holds it in place. I think this is great because it stops children getting frustrated when things fall out. Which brings me onto the next point that when the cargo is inside the helicopter, they stay inside and the back door doesn't fall open. I have had some toys where this happened and Lily found it very annoying. 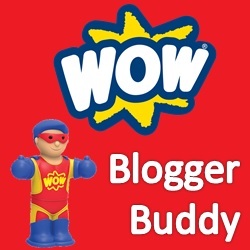 Over all its a really great toy and perfect addition to any Brio World or Brio Train track you have. Lily has really enjoyed flying the trains around and delivering them to her train track. You can buy this toy over at the Brio website for £34.99. Would your child enjoy a toy like this? When you think Easter, there is one thing that comes to mind! Chocolate and sweet treats. So Num Noms decided they wanted to Celebrate Easter and so sent us a bundle of Num Noms. They wanted us to create a chocolate treat inspired by Num Noms and so we decided to make some yummy Easter Crispy Cake Nests. The bundle that Num Noms sent us is all from there new series and are great. The packaging is so colouring and inviting and all remind me of sweet treats. The Mystery Makeup jars contain some makeup, body spray or nail varnish. We got nail varnish in ours. They are really cute and actually look like characters. So different to the usual Num Nums and actually have bodies this time. They also come with a Lipgloss. The Party hair packs are very cool. I love the way they are presented in the wrapper, and I love the new element of giving the classic Num Nom some hair. Super cute! The sparkle smoothies are also a great idea. Inside the tub there is a lipgloss which comes in the shape of a bottle with straw and it has a Num Nom that sits on its lid. The lip glosses are all flavoured. We got 2 mint ones. After admiring our Num Noms it was time to make our Crispy Cakes and of corse we needed the Num Noms to give us some support. We got some corn flakes and chocolate, bun cases, and then some mini eggs and sprinkles for the top. Many Num Noms have sprinkles on the top so this would be our theme for the cakes to make them like Num Noms are. I did the job of melting the chocolate so it was all ready for Lily to do the rest. She then got handfuls of cornflakes and added them to the chocolate. She then mixed them all in until all the cornflakes were fully covered in chocolate. We did have to stop one of the Num Noms from diving into the bowl though. Then it was Lily's job to spoon all the cornflakes into the bun cakes. She did this all by her self and did a really good job. She also somehow managed to not eat any of them. She then popped an egg on the top of each of them and then we added the sprinkles to give them that Num Nom theme. Last job was to pop them into the fridge so the chocolate could set! A hour later they were ready and Lily and the Num Noms all agreed it was a yummy treat. Head to the Num Noms website to see more about the new Num Noms toys. Will you be making any Easter treats? Why not use Num Noms to inspire your flavours? Lily is a lot fussier with the stories I read her now, and she does go back to her old favourites a lot of the time, but I do get chance to introduce her to new books each month. Just don't get to read them as often as I would like. I think it is because she is getting older and the repetition of the same books doesn't interest her as much as it did when she was little. I still like to read 2 - 3 stories a night to Lily though. Usually we have one long one and 2 shorter stories. So last month I let Lily select which ones she wanted to read. She chose 2 Little Miss books from her collection which she hadden't read before plus another story. Here is what we read in March. I love Little Miss and I think the characters and story lines are brilliant. In this Little Miss book, Little Miss Scatterbrain is about to celebrate her birthday. She decides she wants a fruit salad for her Birthday, but instead buys Vegetables, and instead of getting in her own car, she accidentally steals Mr Topsy Turvys. Then she goes into the wrong house and Mr Jelly thinks there is a burglar which makes him call the police. Its only when the police man turns up that she realises all the chaos she has caused and also realises, it isn't her birthday after all. 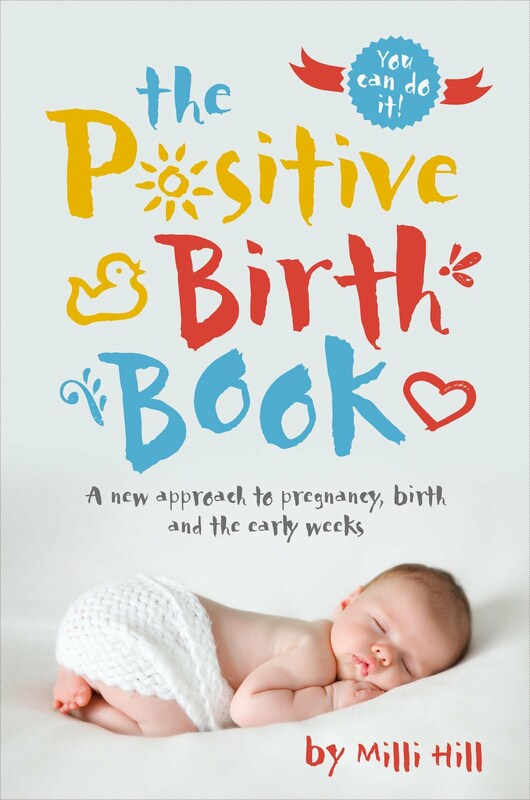 All the chaos made it so entertaining for Lily to listen to and she really enjoyed me reading this book to her. I got this book for the amazing price of £1 from Poundland! I firstly bought this book for Lily because of the fact it has a unicorn in it and Lily loves unicorns. But I am so glad I bought it because the storyline is brilliant. 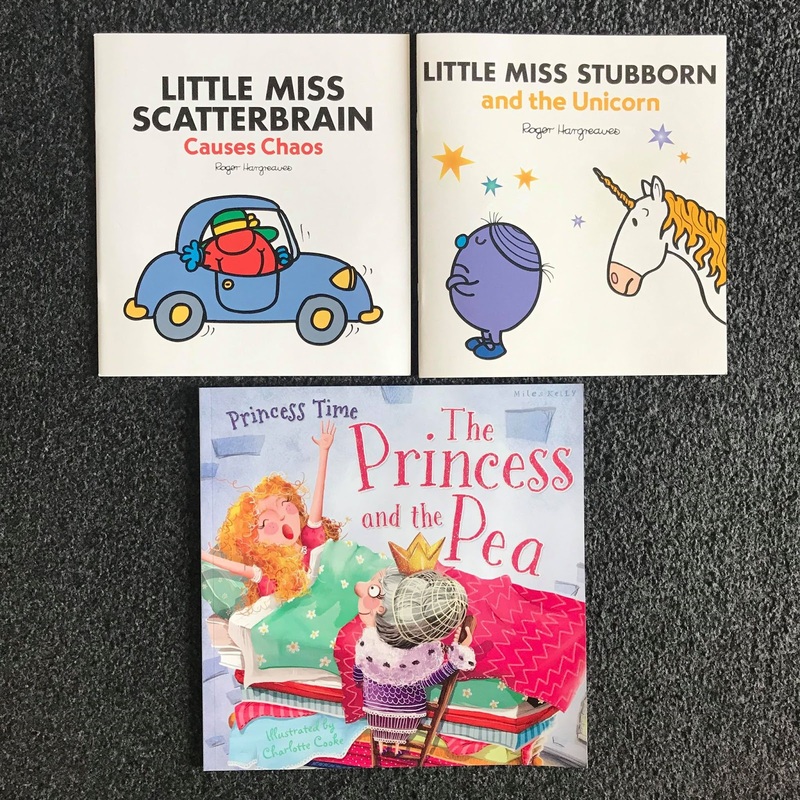 Little Miss Stubborn doesn't believe in Unicorns and when all her friends tell her they have seen them, she just won't believe them. Eventually the Unicorn comes to visit her and she is so stubborn that she still won't believe in Unicorns and is putting her foot down with the fact that she thinks Unicorns Don't Exist. If your child enjoys Little Miss stories and also loves Unicorns then they will love this story. Lily really enjoyed it but couldn't understand why she wouldn't believe in unicorns as Lily thinks Unicorns exist. Again I got this book for £1 from Poundland. This story I haven't heard in ages and so I was very pleased that Lily wanted to read it. It is the classic story of the Princess and the Pea but put together by Miles Kelly. The storyline is that the price is trying to find himself a princess to marry, but he doesn't like any of the ones he meets. One day a girl comes to the castle all bedraggled from the rain, she says she is a princess but she doesn't seem like one. So they do the ultimate test and make her sleep on a bed with many mattresses and a pea underneath the bottom one. It is said if she can feel the pea then she is a princess. In the end the girl wakes up and complains about a lump in her bed. She is a princess after all and she marries the prince. This book has some beautiful illustrations and Lily really enjoyed the story. You can get this book online or from the Miles Kelly Website. Which of the above books do you like the sound of the best? 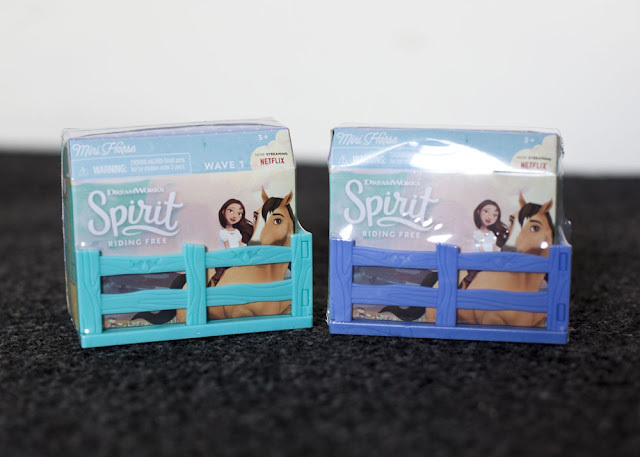 You may be familiar with Netflix show Spirit, Riding Free which is now in its 8th season. If not it is a show that is definetly worth a watch with your children. 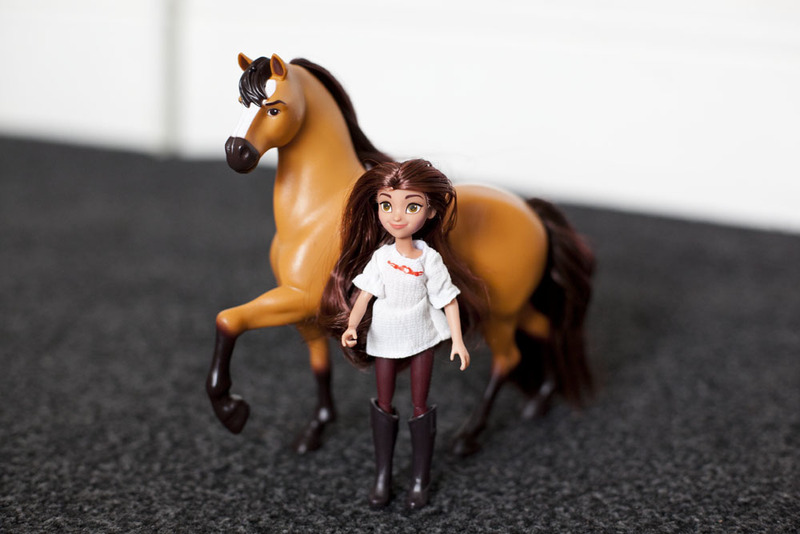 Now Flair have brought out a new collection of Spirit Riding Free toys and we were lucky enough to get to review some of them. Lily was delighted to be given these horses and was so excited to play with them. First we opened up the Blind Box. It was really exciting to not know what was inside. 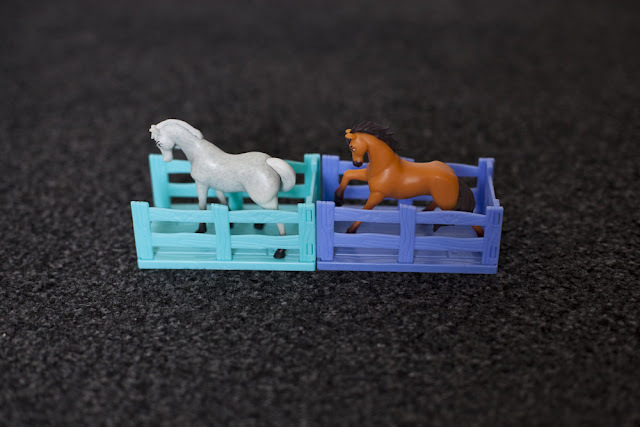 The box is a plastic stable with cardboard barn box which holds a mini horse which stands at 2 inches tall. Lily thought these 2 horses were so cute and she called them baby horses because they were smaller. I really like these for a blind box. It comes with a collectors sheet so then you can see who you can collect and it looks like it would make a lovely collection. Also perfect to trade with friends who also collect them. Some blind boxes I never think are worth the money but these I really do believe you are getting a decent toy for £4.99. We then opened the doll and horse set. 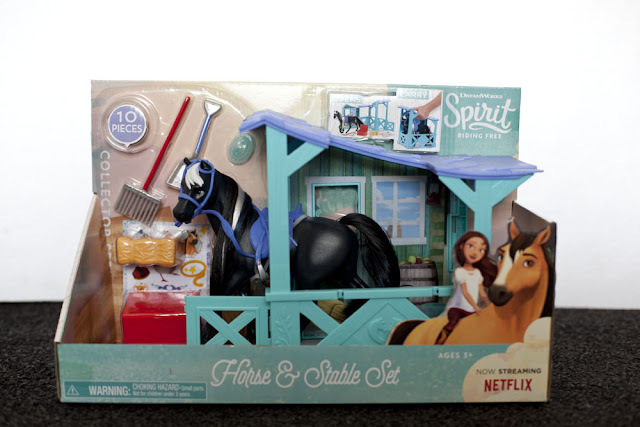 We got the Spirit horse and lucky character which are the main characters of the show. Lucky is lovely, she looks just like she does in the show and has real hair that can be brushed. Her little legs and arms all move so then she can sit, stand and also get on her horse. She stands at 13 cm tall and is the perfect start to your character collection. She comes with her horse Spirit who is a beautiful looking horse with real hair also that can be brushed. The plastic is is made from though is very slippy and Lucky does struggle to stay on top of the horse unless you hold her on top. Lily thought this set was great and loved that she could move lucky into action poses. 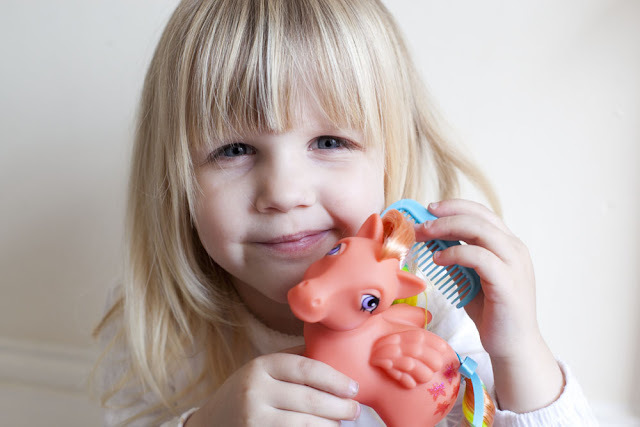 We then opened the Classic Sounds and Action horse which is available from Amazon. 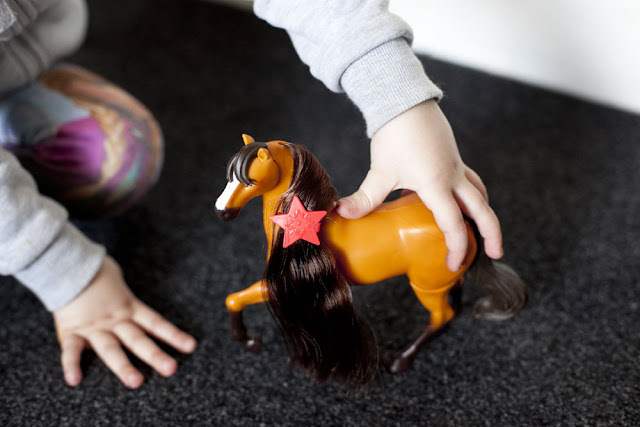 This was Lily's favourite because when you press the button on its back it makes realistic horse sounds and its front leg kicks up into the air. It also has moveable back legs which means that you can make spirit stand on its back legs like it is kicking up into the air. The tail also moves. Lily really loved how you could make spirit jump into action with her different poses. 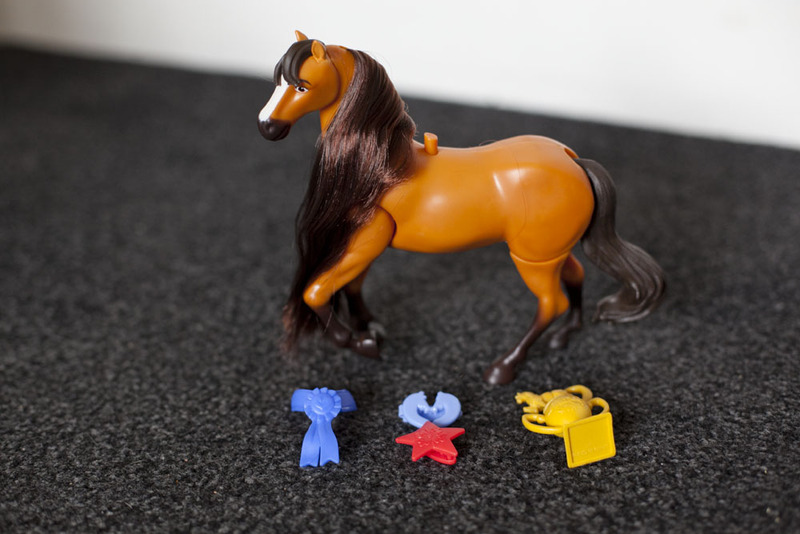 This horse has real hair at its head but the tail is made from plastic so then you can make it move. This set also comes with a few accessories which also help extend the play. It comes with a trophy, brush, hair clips and prize box for around its neck. 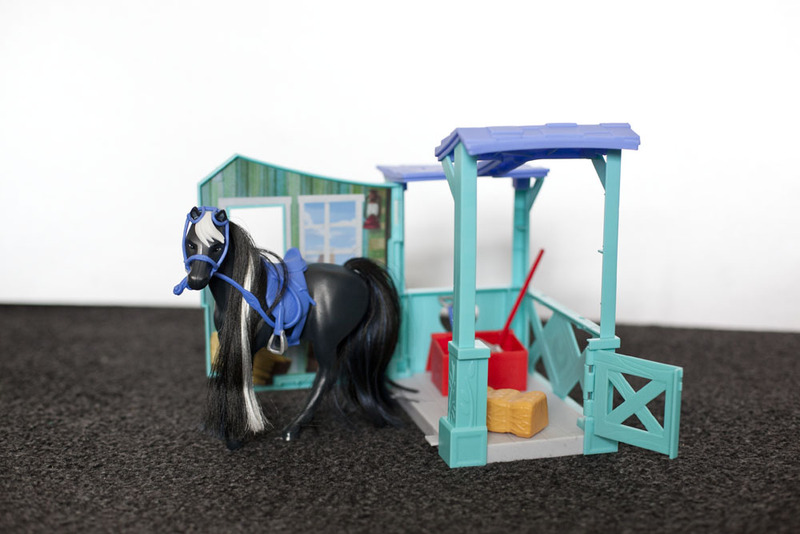 The last set to open was the classic horse and stable set. This set looked great inside the box and looked like it came with so much to play with. It was a little tricky to get out of the box but when it was Lily was really happy to have a stable to put her horses into. This time we didn't have spirit as the horse but has a black and white one instead. This horse stands at 7 inch and also has a bridal on its back so it can be ridden. It also has real hair that can be brushed. The set provides so many opportunities for use of the imagination as it also comes with hay, shovel, rake, brush and tack box. It also has a lovely set of stickers that you could stick on your stable. 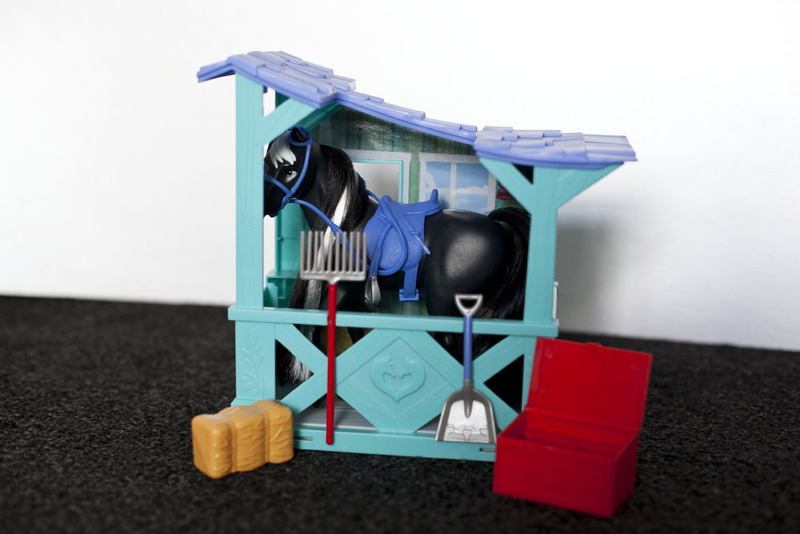 The great thing about the stable is that it can be opened up so then your child can play with it and move the horse in and out, setting it up with the hay so then your child can act out feeding and caring for the horse. Then it can be closed up with the horse inside and comes with a handle so then you can carry about. It is perfect for if you wish to take your horse somewhere with you. Over all Lily was so pleased with all the toys and they made a perfect set to play with all together. Lily hadden't actually seen the show but after playing with the toys she straight away wanted to watch it. So don't be discouraged to buy these if you child hasn't yet seen the show. 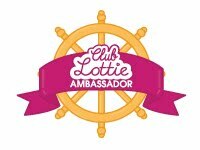 Does your child enjoy the show and would they like these toys? When it comes to Easter, the first thing that pops into your head is probably Easter eggs. 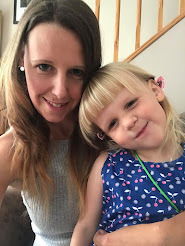 And if your child is anything like mine, she gets so many Easter eggs from family that the chocolate from them can last her ages! So as a parent you may be wanting to think of a few toy ideas that you could get your child instead. 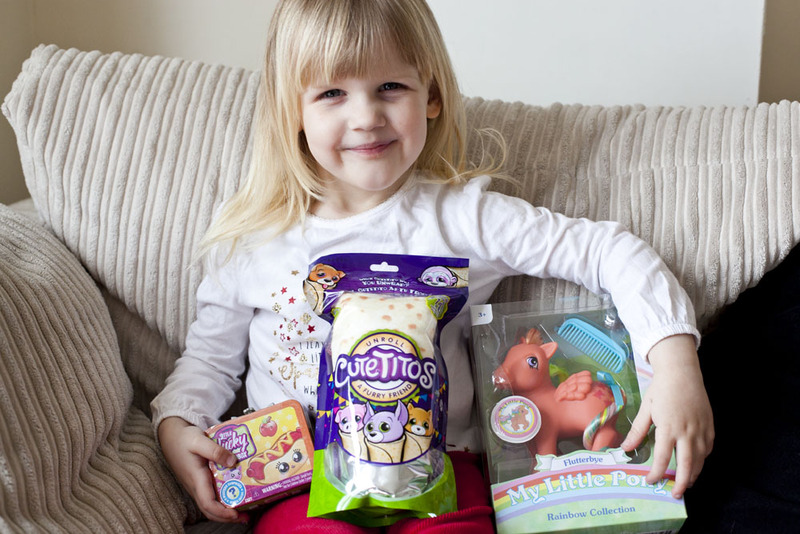 We were sent 3 toys that all are wonderful ideas for gifts for your child this Easter. 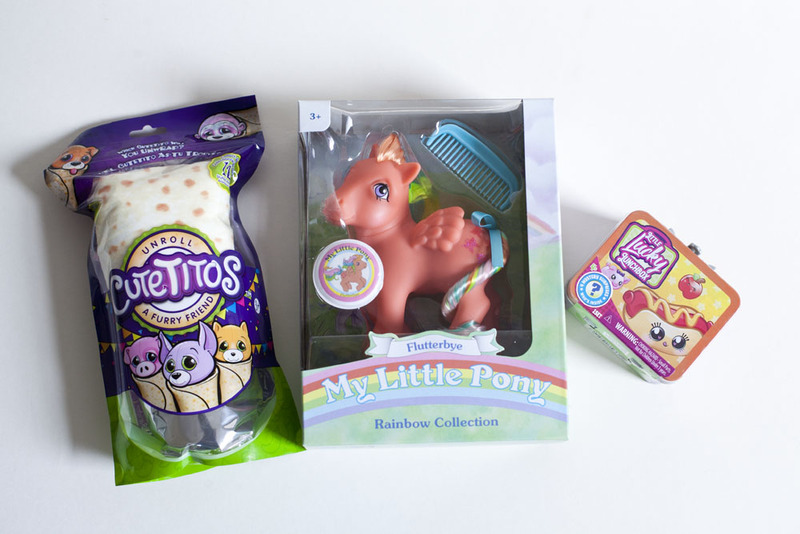 We were sent a Cutetito, a Little Lucky Lunchbox and a My Little Pony Retro. Lily was super pleased with all these, and I know if I would of given them to her for Easter she would have been very happy with them. So the Cutetito is something compleatly different that I was actually really impressed with. 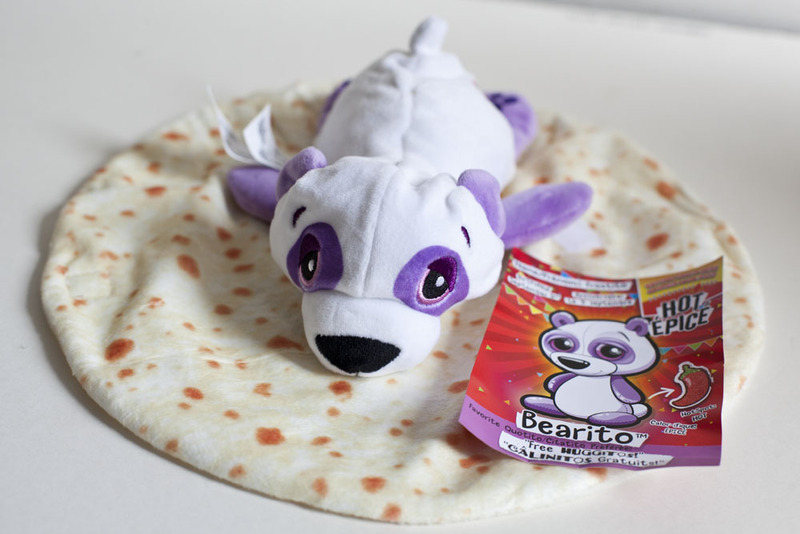 Its a cute stuffed animal wrapped in a blanket. But whats special about that?? Well the blanket isn't just a blanket, its styled like a burrito and so your cute little new pet comes like a wrap. It even comes with a silver wrapper so it looks like a wrap. But don't eat it, unwrap it and reveal the cutest little animal. These are super soft and Lily really loved cuddling up to it. She thought it was hilarious that it looked origionally like food and pretended to take a big bite. She then spent the rest of the time snuggling it and taking care of it. There are 12 of them to collect and each Cutetito has a personality hot spot on its bum which shows its rarity level. They are aimed at children 3+ and are only £9.99 which I think is well worth the money. Available from all good toy stores. 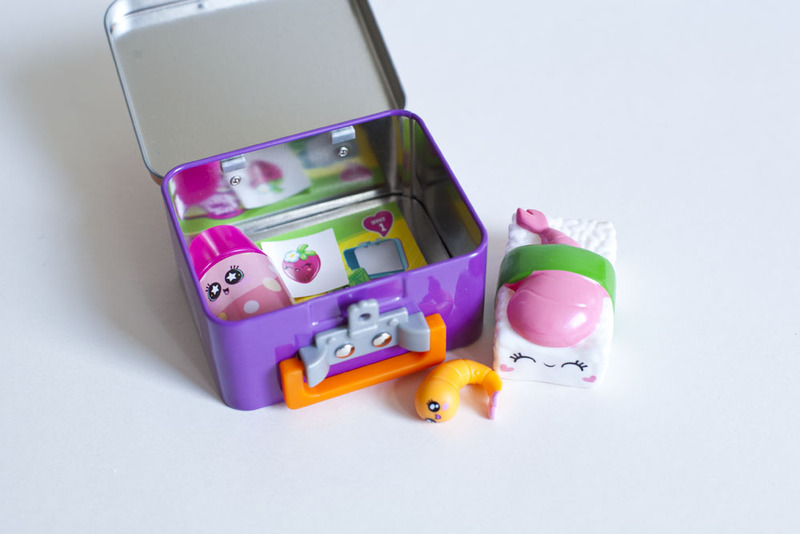 If your child likes surprises and collectable then these little lunchboxes could be something they would really enjoy. Each lunchbox contains 2 foodie friends which both hold a little surprise inside. For example we got some sushi which also had a little shrimp inside it and a cup with some stickers inside. 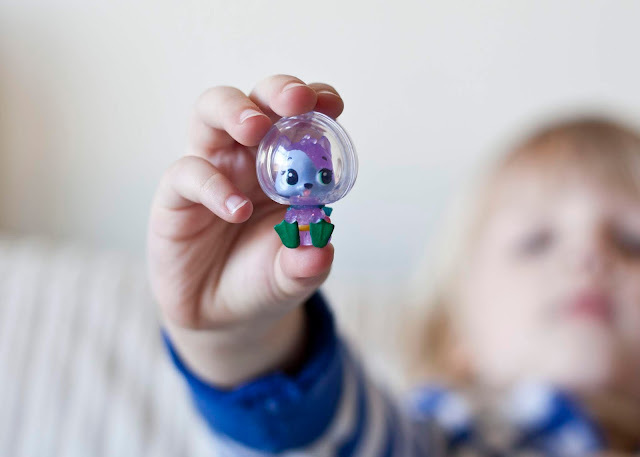 It really is a cute little treat and perfect for mix, matching and trading with friends. When you have started to get a nice collection you can create new little meals for each day! Lily thought the little tin lunch box it came in was really fun to carry around and put her food into. For £6.99 each they are brilliant for a little treat. Available from all good toy stores. I am so excited about this one. I used to have My Little Ponies as a child, and also used to collect them as a teenager. So to hold such a cute but classic style pony in my hand again was great. The My Little Pony Retro's are all based on the ponies which are first generation and from the 1980's, which I must say was the best generation. 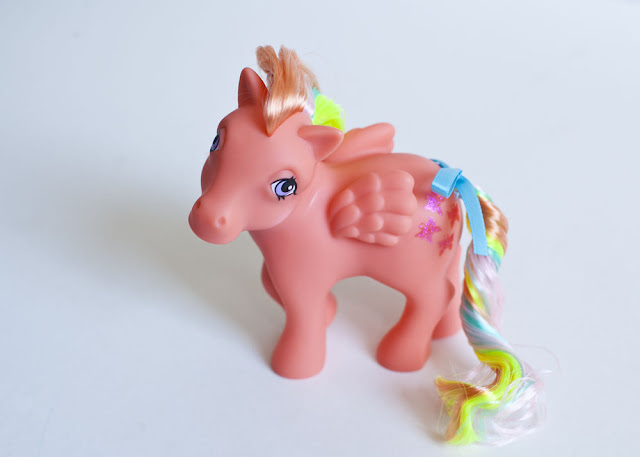 We got Flutterbye and she is from the rainbow collection. Lily and I just loved her. She is such a vibrant colour with vibrant rainbow hair, wings and she has stars on her bum. She also came with a brush. The box itself that it came in was also beautiful and it makes me want to collect my little pony all over again. Lily loved the fact she came with a brush so then her hair could be brushed. They are £12.99 and a must have if you are a My Little Pony fan. 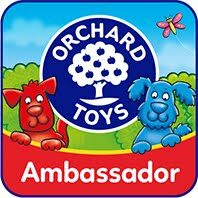 Available from all good toy stores. Would you consider any of the above for an Easter gift for your child? 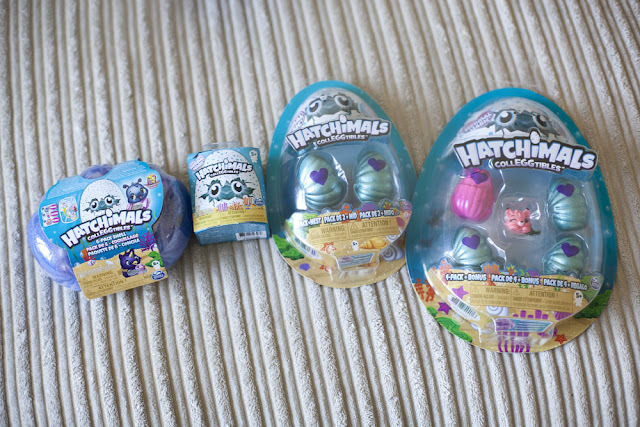 Series 5 of Hatchimals CollEGGtibles is here and we are so excited! Lily is a huge fan and has quite a collection now which go along side her playsets. 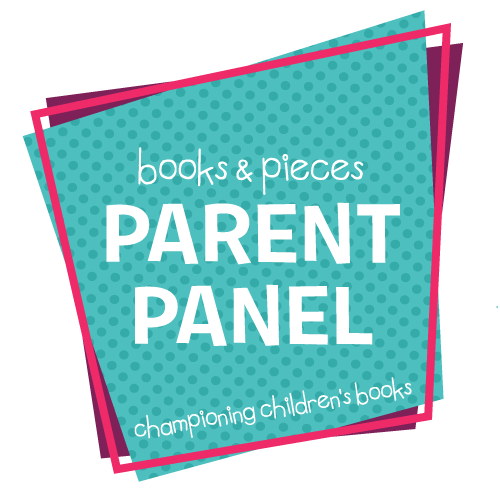 We were super happy to be able to get a selection of the new series to review! SpinMaster sent us 4 different sets. 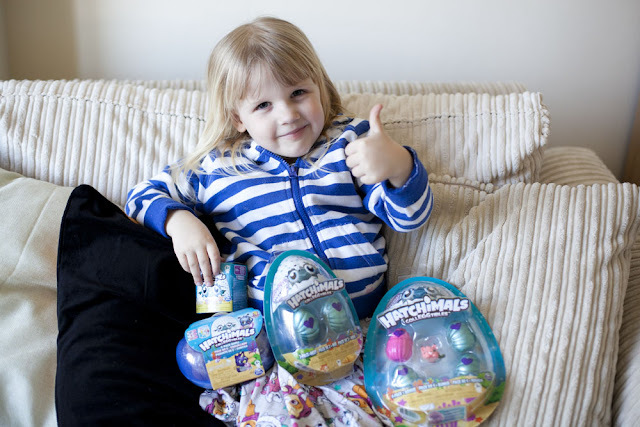 Lily was super Excited to have some new Hatchimals and knew it was time for her favourite thing to do! Hatch them all! 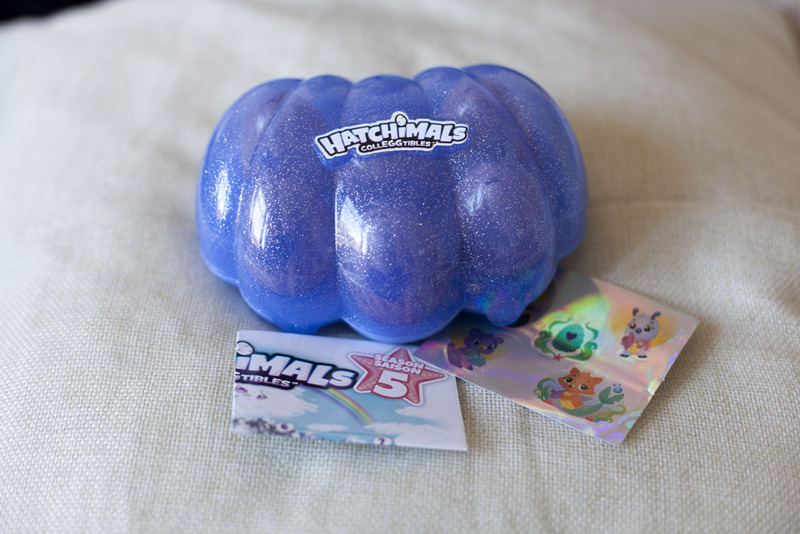 Series 5 Hatchimals are all about Memal Magic and have a underwater theme to them. We was very excited to see what we would get inside. The eggs look slightly different this time with a more shell appearance to the eggs. They also open up width ways instead of taking the top off the egg. They were still super pretty though with glitter and the traditional colour changing heart on the front of the egg. The 4 pack even came with an extra special pink shell type egg which opened differently to all the other eggs. Lily really liked the fact there was a special looking egg inside. We soon got to cracking open the eggs to see what characters was inside. To our delight there are lots of new looking Hatchimals. 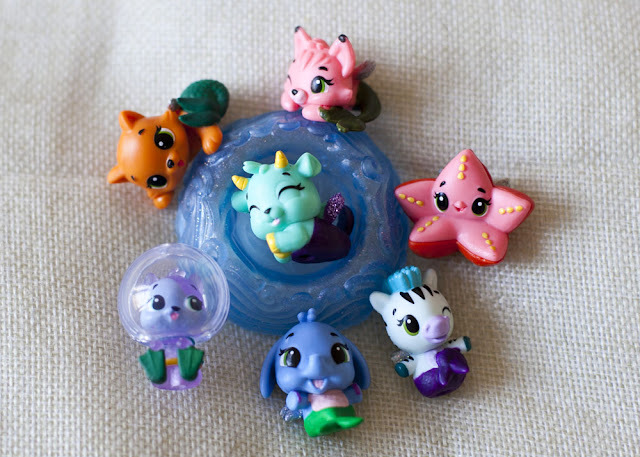 Some with mermaid tails and some shaped like sea creatures like starfish. Our favourite that we found had an underwater helmet on and was super cute! All the eggs are different colours so then you don't duplicate as there are over 80 new characters to find. 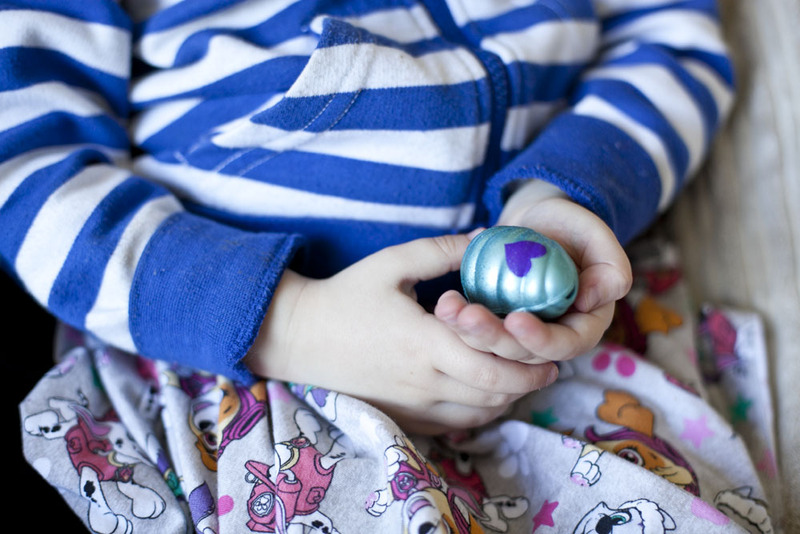 Each coloured egg relates to a different family of Hatchimals. All sets come with a collector sheet so you can keep track of which characters you already have. The great thing about the different packs, are that they are all different prices so affordable for different treats. The one pack is a perfect example of this. The new 6 pack is very lovely though. 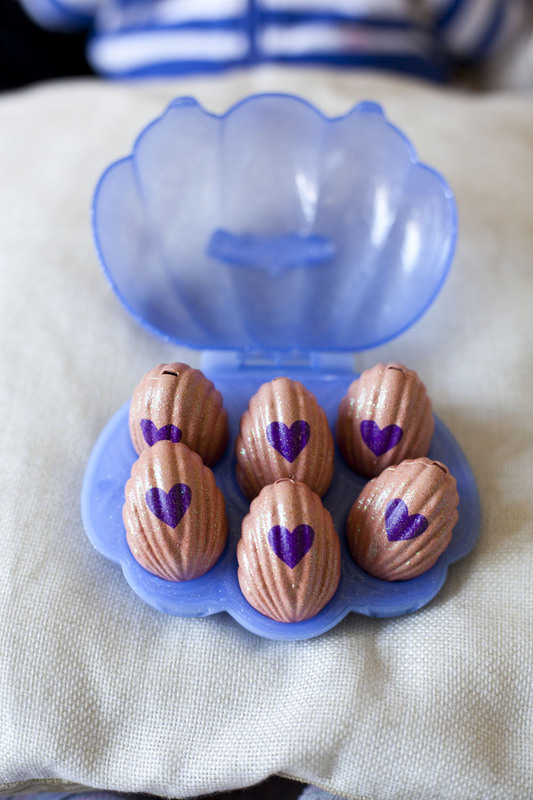 It comes with a really cute glittery seashell shaped case and the eggs inside are so sparkly too. 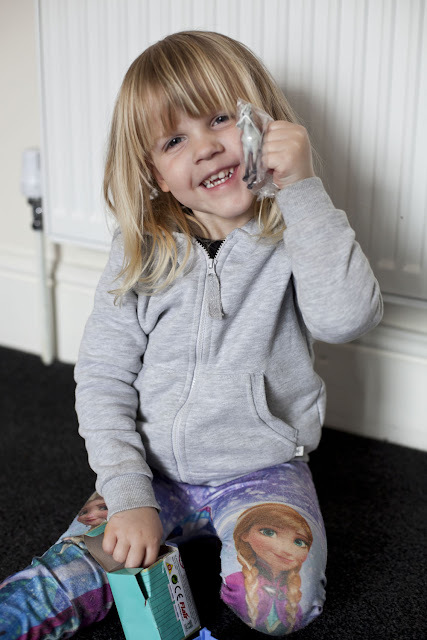 It also comes with a set of stickers which really pleased Lily. 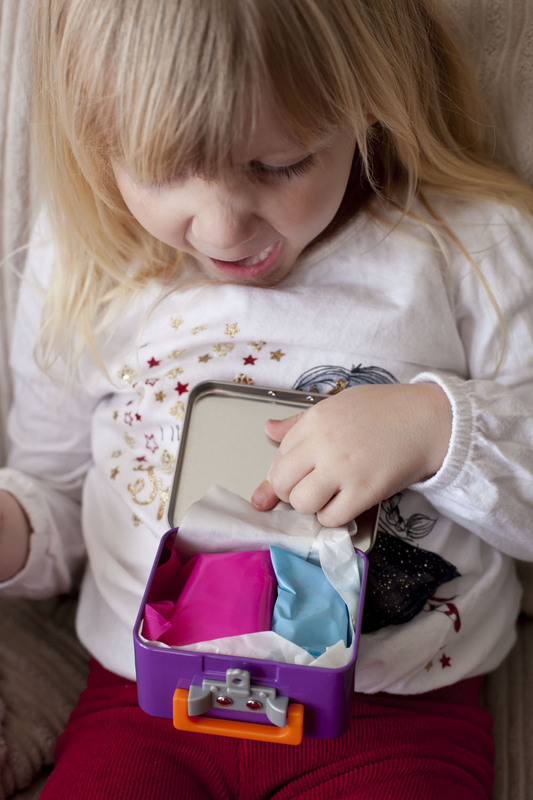 We set to opening them and was really surprised by what was inside. Each character was carrying a little gem stone. The surprise of series 5 doesn't stop there. 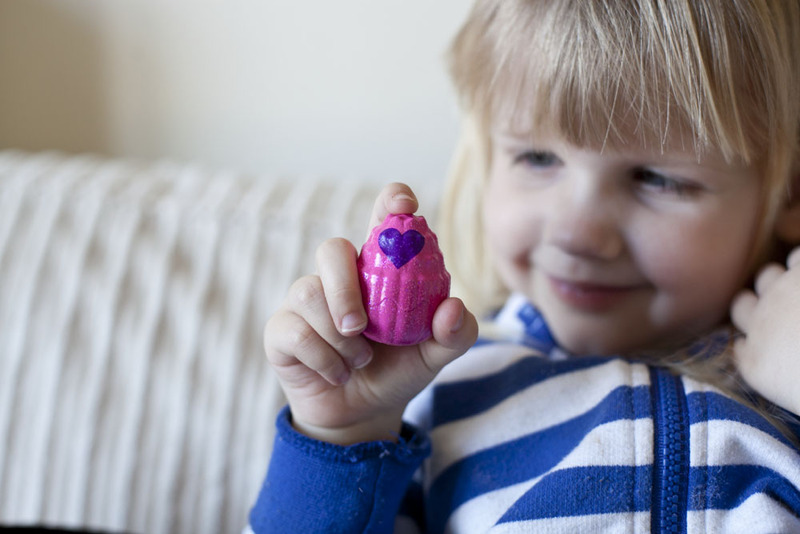 These Hatchimals also have a colour changing technology where they change colour when placed in water. They then turn back into the original colour quite quickly when brought out. It is quite magical to watch. 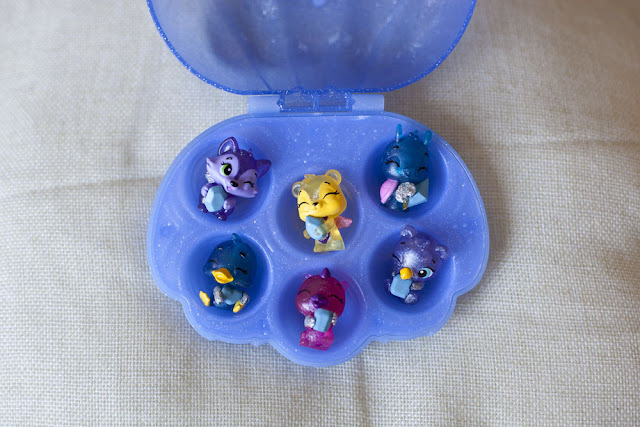 With the Hatchimals with the gemstones, it is the gemstone that changes colour. Overall Lily was really happy with all her new little Hatchimals and happily added them to her Hatchimal family. Hatchimals are my favourite type of collectable surprise toy. I think the way you open each egg and the characters being so cute but also different each time makes them a collectable worth collecting. 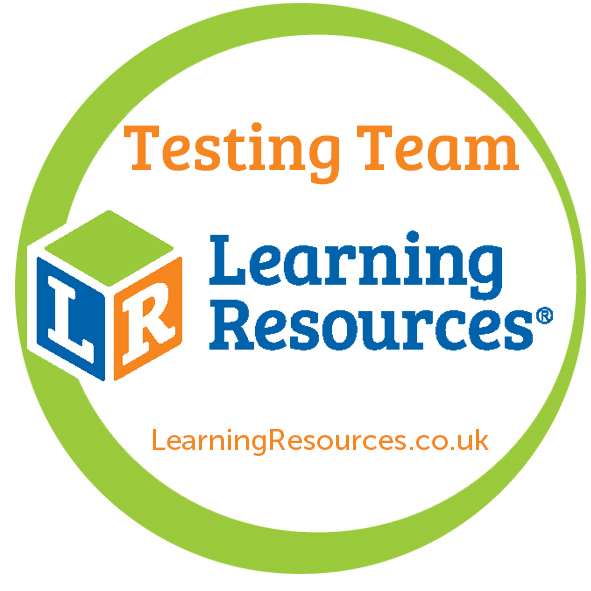 You can buy Hatchimals from most highstreet stores such as The Entertainer or Smyths. What do you think to the new Hatchimals? Sleep!! 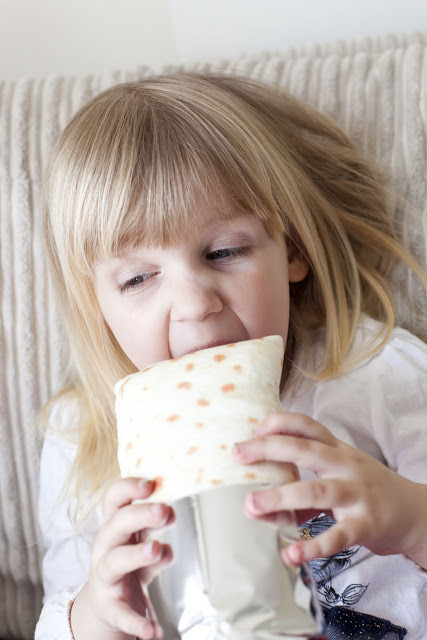 Something that we all do as babies, don't want to do when we are children, and always want to do when we are adults. 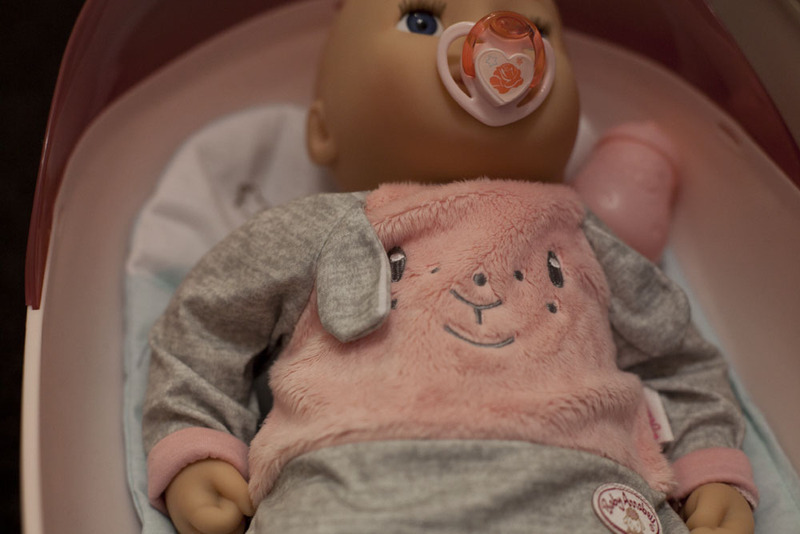 So Baby Annabell have now brought out a sweet dreams range which is all about sleep and could possibly encourage your children to do exactly the same as their baby doll. Sleep. We were sent the sweet dreams range to review. This included Sweet Dreams Mia, the Sweet Dreams Rocker and the Sweet Dreams Pyjama set. 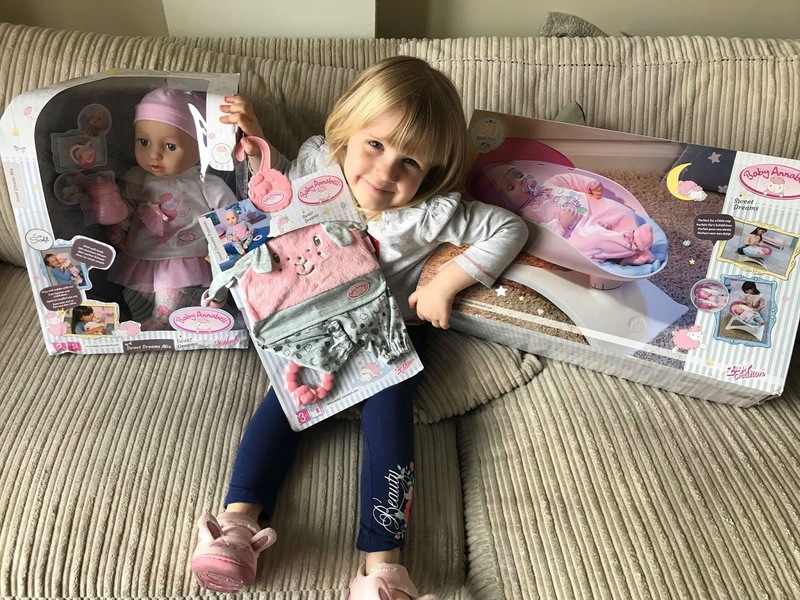 Lily was so excited when she received her Baby Annabell items. She really loves playing with her baby dolls and was really pleased to have another one join the family. First lets talk about the doll herself. She is called Mia and is such a cutie. She is soft bodied with harder legs and arms and head. But is perfect for giving a cuddle too. She has beautiful eyes and also her mouth has a hole for where her dummy and bottle can be placed. I think the cutest part about her is her outfit, super cute and soft to touch. She also comes with sweet little shoes that are easy enough for a child to be able to remove and put back on. Lily loved her new baby, she was really happy to give her lots of cuddles and feed her the bottle. As well as place in the dummy when her baby was upset. 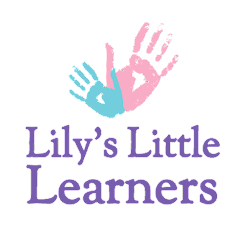 Lily is great with role play and so she knew just how to take care of her new baby. One thing Lily and I was both a little disappointed about was that when she laid baby Mia to sleep. She didn't close my eyes. 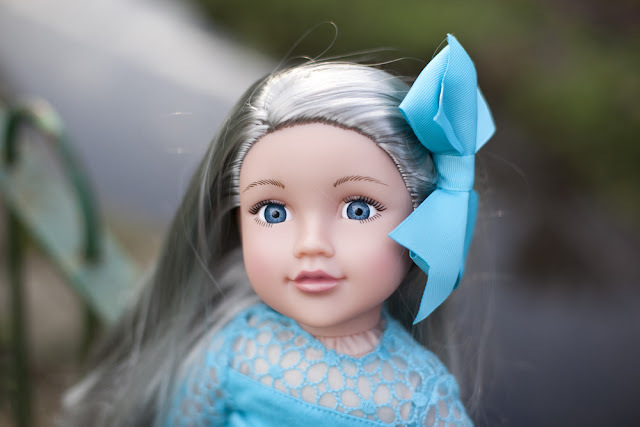 I think this was a huge miss of a detail that should have been placed into a doll that is all about sleep. I really could not think of an explanation to tell Lily why she wasn't closing her eyes to go to sleep when she layed her in her Sweet Dreams Rocker. 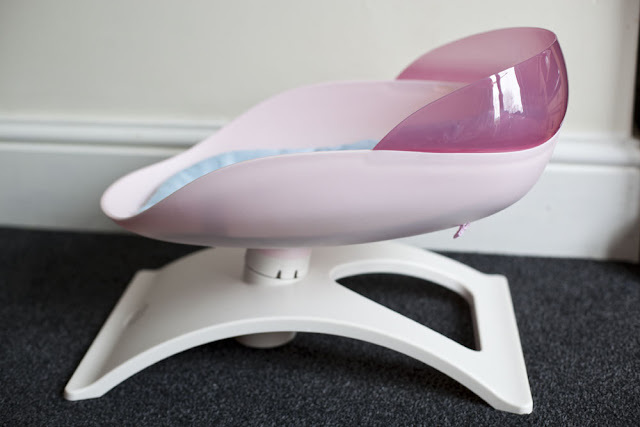 The rocker itself is such a lovely addition for a child to have with her baby dolls. It comes in the box in 3 pieces which I must say are very easy to place together. They literally just slot together and the bed is made. 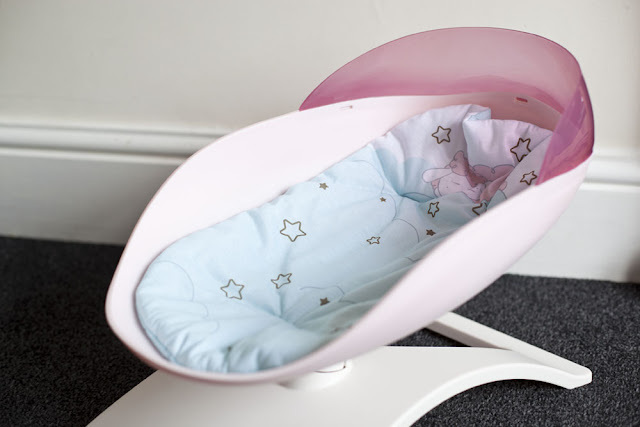 It already comes with a really cute lining which is soft and comfortable for the baby to be laid down onto. I think the only thing that was maybe missing from this great rocker is a blanket to cover the baby up for when she sleeps. The best part about the rocker is its gentle swap side to side that you can make it do. Lily really enjoyed being able to do more than just put her baby to bed, by also being able to rock her to sleep. 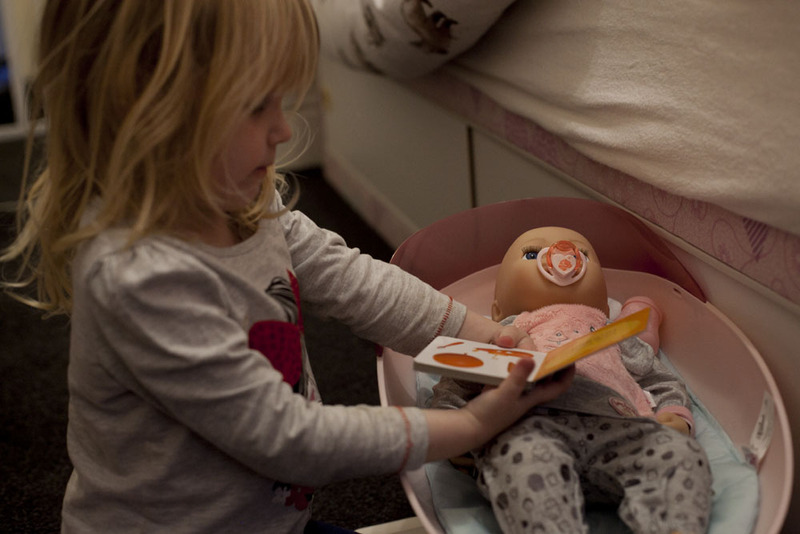 We used the doll as part of our bedtime routine for some nights and Lily put baby Mia to bed exactly how she gets put to bed. This also meant putting her into her Sweet Dreams Pyjamas. The Pyjamas are so cute with really nice detail on it such as cute lamb ears that flop about. The front of the pyjamas are also fur lined like a teddy would be making them really nice and snuggly and lovely to cuddle. The set also comes with a coat hanger so if you have a wardrobe for your dollies clothing, you can hang it up. She also comes with a cute little teething ring. Lily really enjoyed getting her baby dressed ready for bed. She did quite well doing this by herself but did have a little help from me too. She settled Mia into her bed and popped her dummy in for her. Then it was time for story time which is something we always do before bed. Lily chose a book and sat beside the rocker and read Mia a story before kissing her on her head and saying goodnight. We then got her a blanket and tucked her in ready for sleep and Lily jumped into her own bed ready for sleep too. 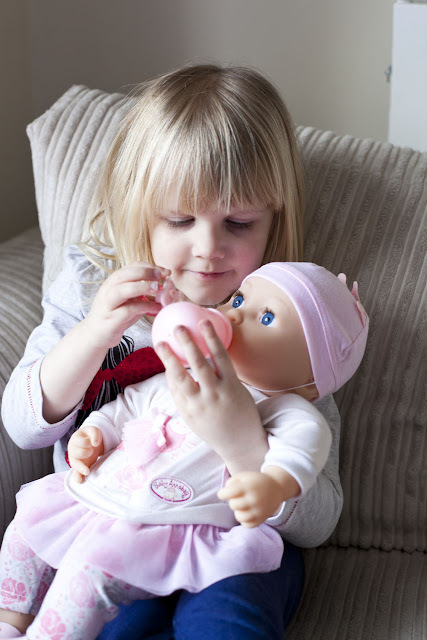 A sweet dreams doll is such a good way to help encourage your child to want to go to bed. I told Lily she needed to sleep so then in the morning she could get up and also get baby Mia up too. That night she went straight to sleep. In the morning she got up and jumped into my bed with Baby Mia in her arms. 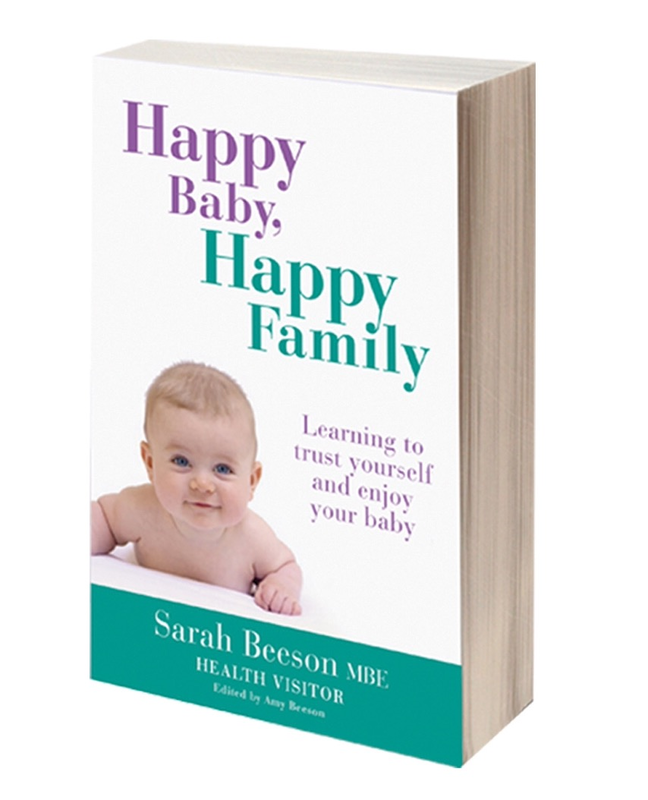 It was great to see that she had remembered and wanted to carry on playing with her baby. 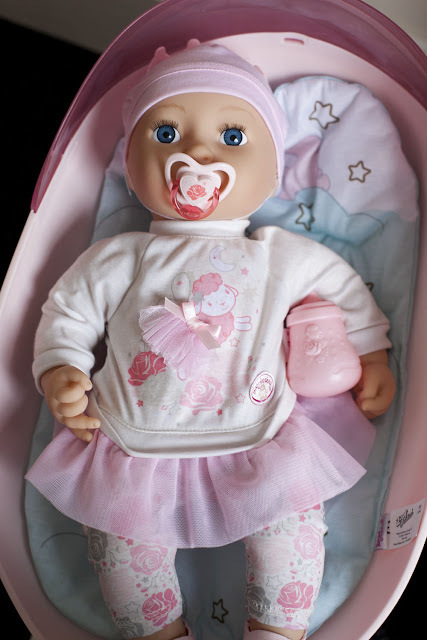 The Baby Annabell Sweet Dreams range can be bought from stores such as Smiths Toys and other high street stores. Do you think the Sweet Dreams Range would be included into your child's bedtime routine?